Arsenal host Cardiff City at the Emirates with the away side playing in their first fixture since the tragic disappearance of their record signing Emiliano Sala. Bluebirds staff and fans will wear yellow daffodils to honour missing striker Sala with Premier League clubs up and down the country also set to pause for a moment of silence for the Argentine forward and pilot David Ibbotson. With most of the prematch discourse dominated by events off the pitch, on it Arsenal will be hoping to bounce back from their ​3-1 FA Cup defeat to Manchester United in what has been an inconsistent season for the Gunners under Emery. 18th placed Cardiff City will be hoping for an unlikely win over Arsenal after a 3-0 loss to fellow strugglers ​Newcastle condemned them to a place in the drop zone. ​Arsenal’s injuries to Laurent Koscielny and Sokratis, sustained during their FA Cup exit against ​Manchester United leaves the Gunner's defence threadbare. Unai Emery’s defensive options were already depleted following Hector Bellerin and ​Rob Holding both suffering season-ending ACL injuries. For Cardiff City, Sean Morrison will be out as he is recovering from a burst appendix, meaning Bruno Ecuele Manga will likely start alongside Sol Bamba, with Lee Peltier at right-back. There's no escaping the fact that Cardiff have a ​dire record against Arsenal. In 45 meetings between the two sides, the Gunners have come out on top 21 times to the Bluebirds' 10. In fact, historically Cardiff have struggled to score past the Gunners - before their last meeting in the pulsating 3-2 win for Arsenal, the Bluebird's hadn't scored against the Londoners since 2006. Arsenal last tasted defeat to the Welsh side back in 1961 and a defeat on Tuesday would seriously hamper Emery's chances of securing Champions League football next year. The home side, despite considerable improvement, have endured an inconsistent campaign but still remain in the hunt for a fourth place finish with London rivals ​Chelsea sitting just one place and three points ahead. A shock 1-0 defeat to ​West Ham, followed by a creditable win over Chelsea epitomizes the Gunner's inconsistencies this year. Neil Warnock has made no secret of Cardiff City's arduous task of securing ​Premier League status next season. The Yorkshireman has made it clear how the Welsh side are one of the favourites for relegation - yet the Bluebirds haven't been cut adrift just yet. A ​3-0 defeat to Newcastle was a major blow for the Welshmen, along with a goalless draw with strugglers ​Huddersfield meant Cardiff sat back in the relegation zone - two points behind the Magpies. Arsenal, although unpredictable at times, will be disappointed with anything other than a comfortable victory against the struggling Bluebirds. Cardiff, wounded by the tragic events of their record signing Sala, will be determined to get something from the game to honour the Argentinian, but will inevitably struggle to overcome a Gunners side who will dominate possession. 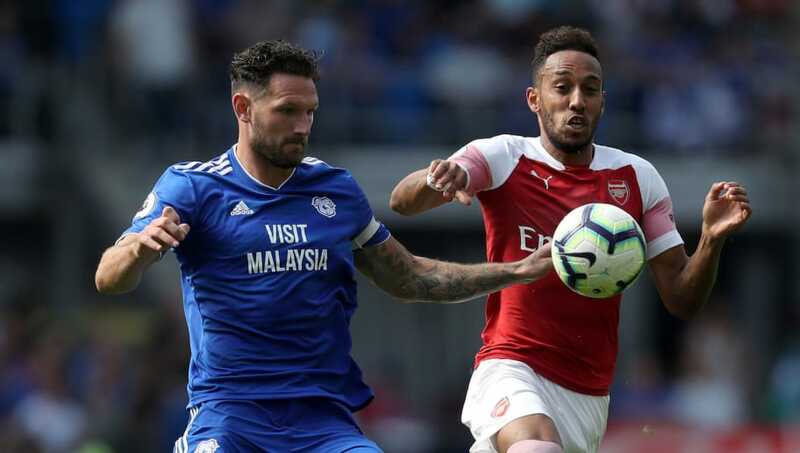 With most attention focused to events off the pitch rather than on it, Cardiff will put up a fight for their missing striker but succumb to defeat at the hands of the Gunners chasing a fourth placed finish.